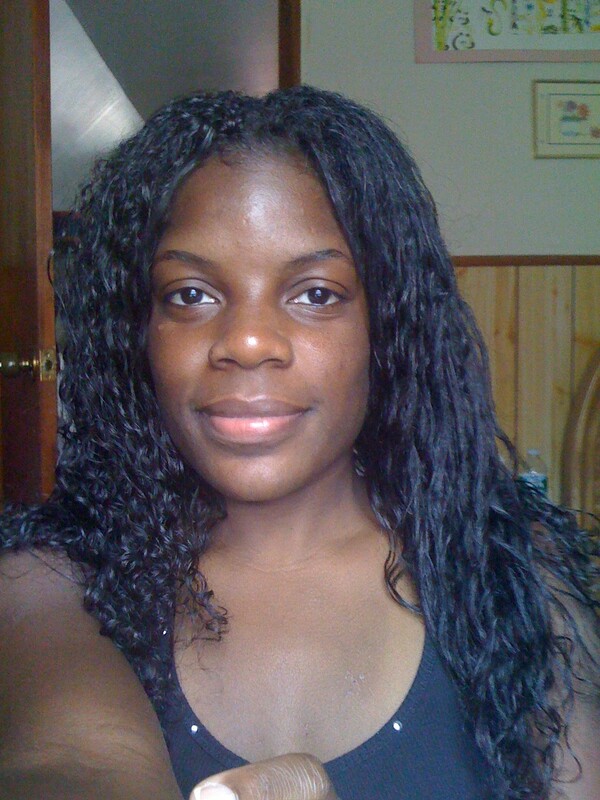 June 5, 2010 – Almost 3 months after my very last perm. One side still curled when wet, the other side… not so much! 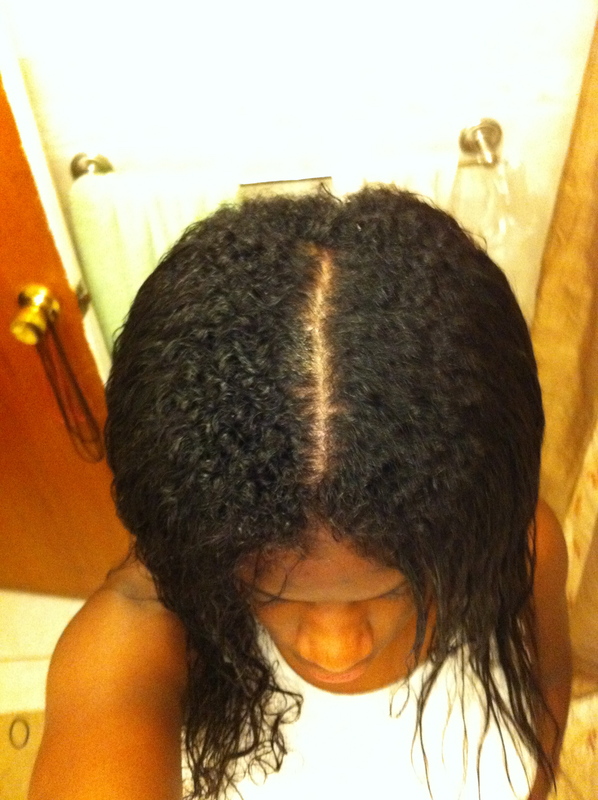 July 11, 2011 – 4 months into my natural hair journey. A twist out on mostly permed hair. 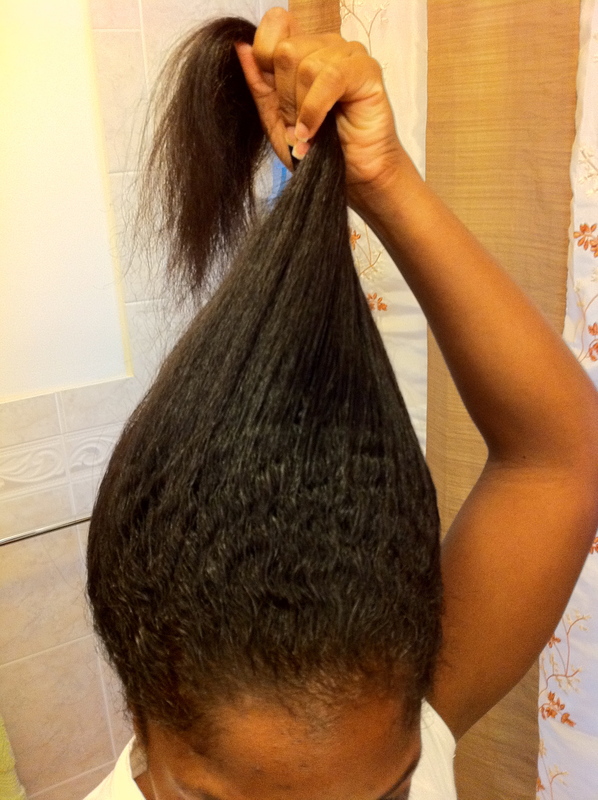 Looking back, it lays much flatter than a twist out on my natural hair. 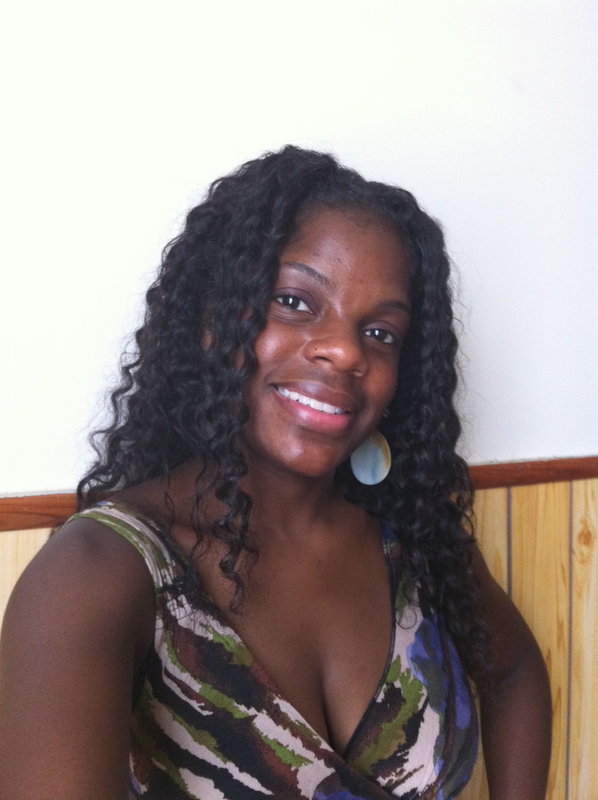 August 2010 – 5 months into my natural hair journey. This was a twistout again. 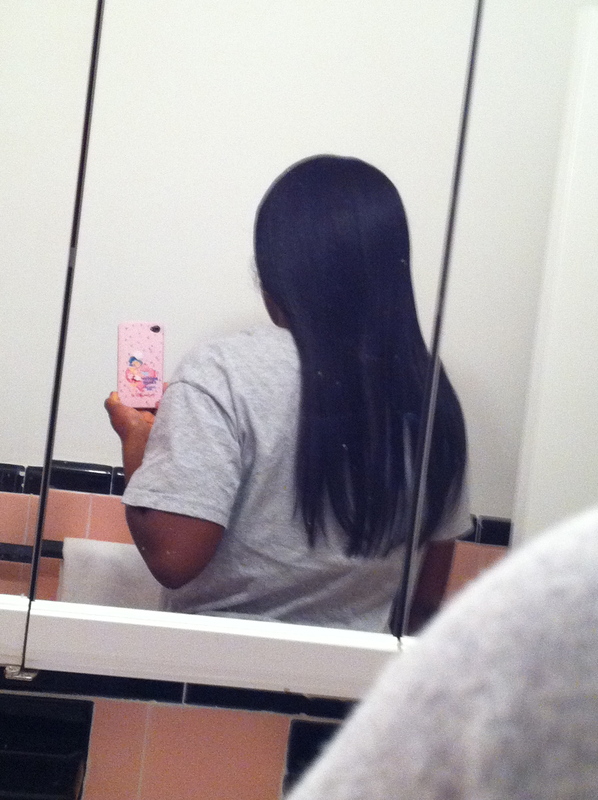 The ends are still so straight. September 12, 2010- 6 months of new growth, but considering how long my hair is, it’ll still take forever to fully grow out. September 25, 2010 – 6 months of new growth on wet hair. October 24, 2010 – 7 months of new growth on wet hair. November 14, 2010 – 8 months of new growth. 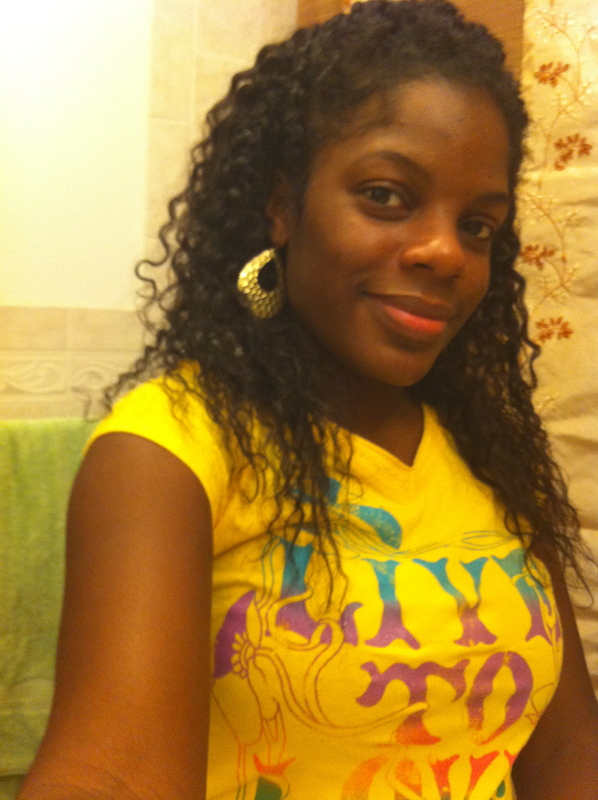 This was a nice twist-out and my hair looks pretty healthy. December 12, 2010 – 9 months of new growth on wet hair. 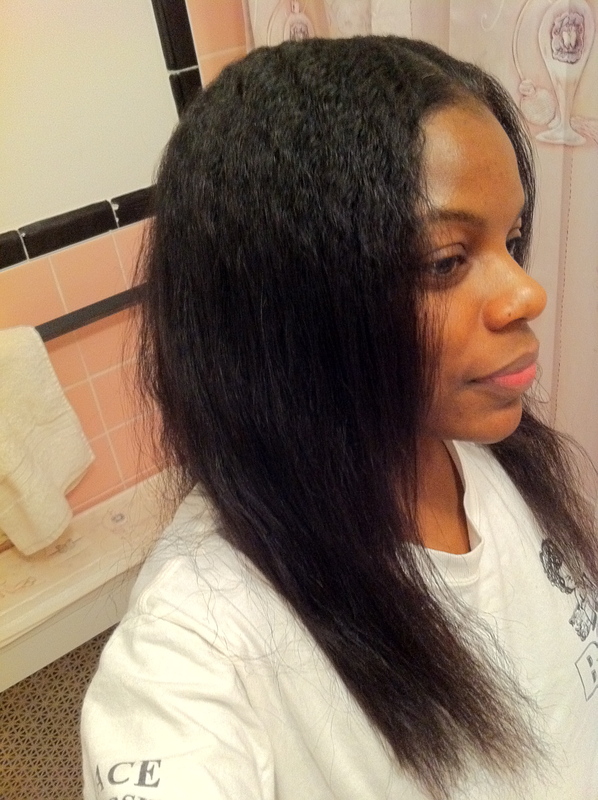 December 13, 2010 – I blowdryed my hair. 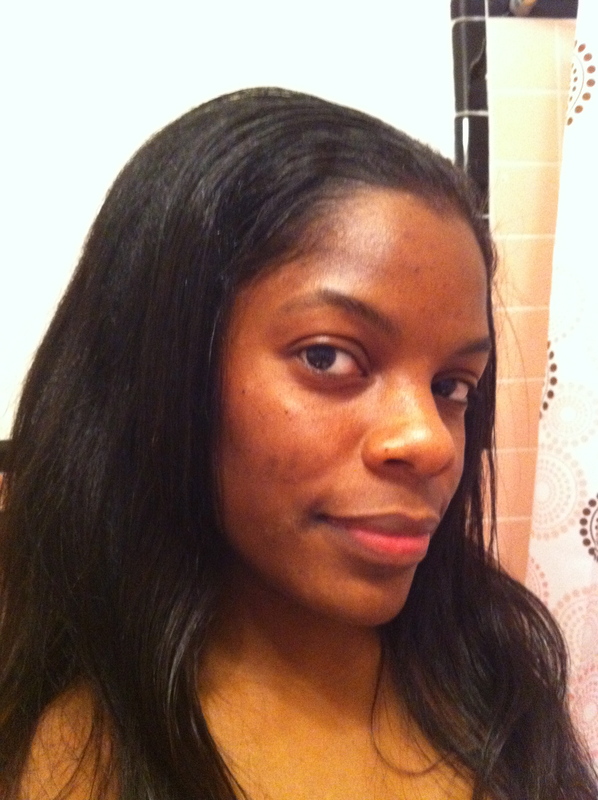 I was tired of wearing a ponytail so I put my hair down and took some pics. Reminiscing on my straight days. 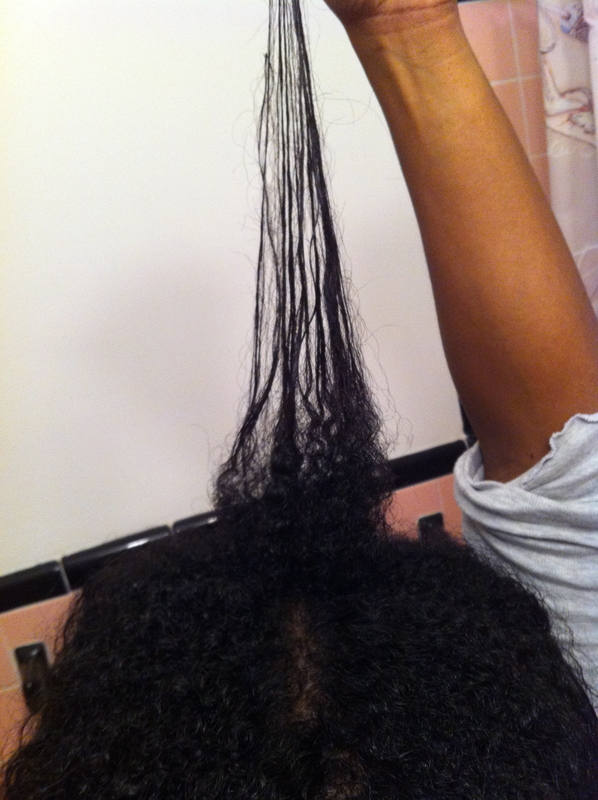 December 21, 2010 – 9 months into the natural hair journey. I straightened my hair to trim it. 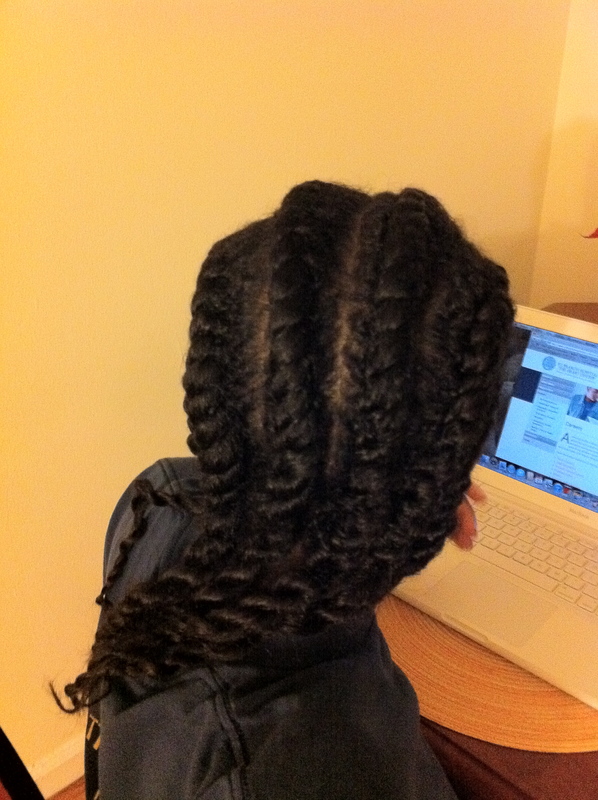 December 21, 2010 – Then I twisted it up for the night. I like my twists. February 6, 2011 – 11 months of new growth on wet hair. 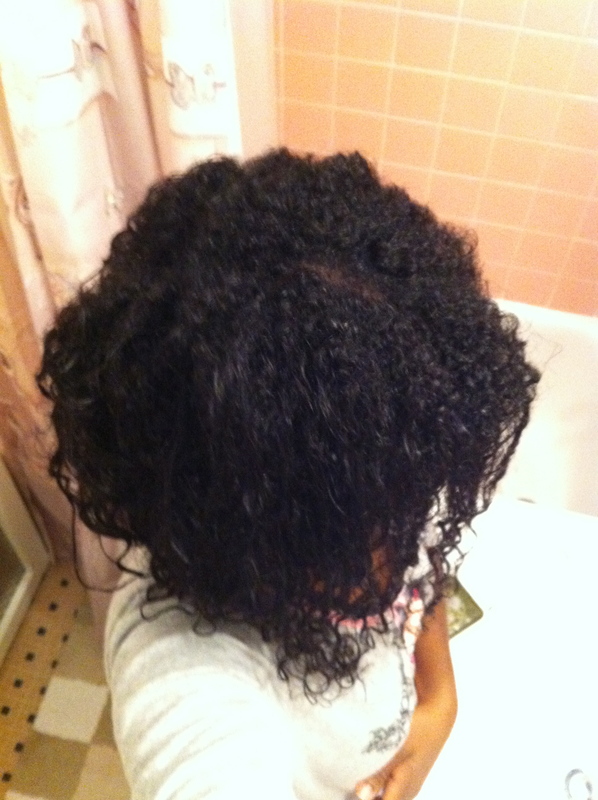 February 6, 2011 – 11 months of new growth on wet hair. 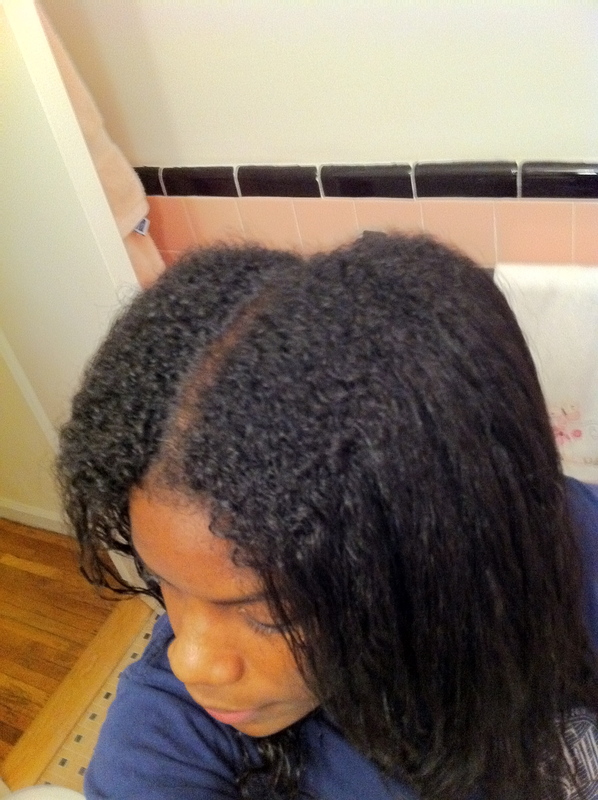 I stretched it up to show the difference in thickness as well as the amount of new growth compared to the amount of perm. 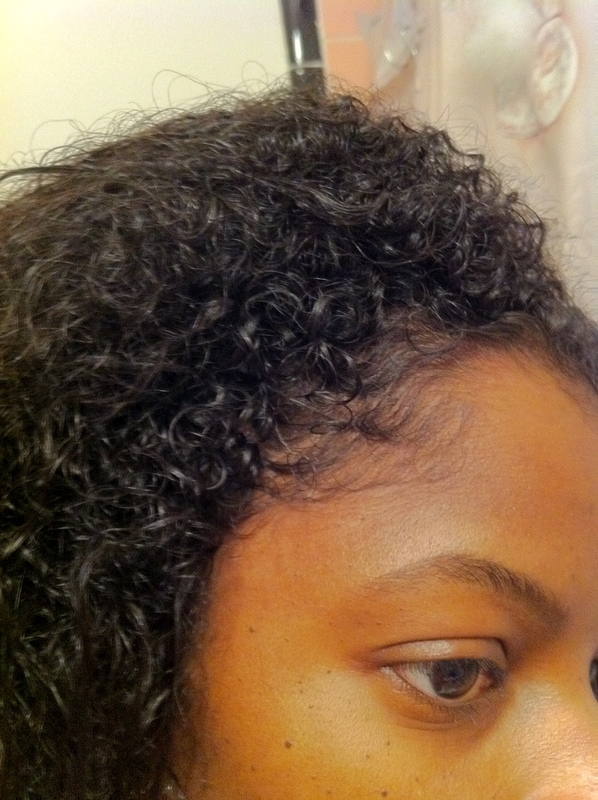 February 18, 2011 – My 3C curls are coming in nicely. Wish I had more of it, but one day I will. March 14, 2011 – Officially at the 1 year mark. I honestly expected it to take 2 full years to grow out my perm, but after examining my hair at the 1 year mark I realized it would take MUCH longer. I can’t lie, I was disappointed. Why thank you! Yea girl! I’ve been growing it out since March 2010. I don’t think it looks as healthy now. More pics to come though. That 11/14 twist out is fierce!! And, again, I LOVE your flat twists!!! Those were on straightened hair though? 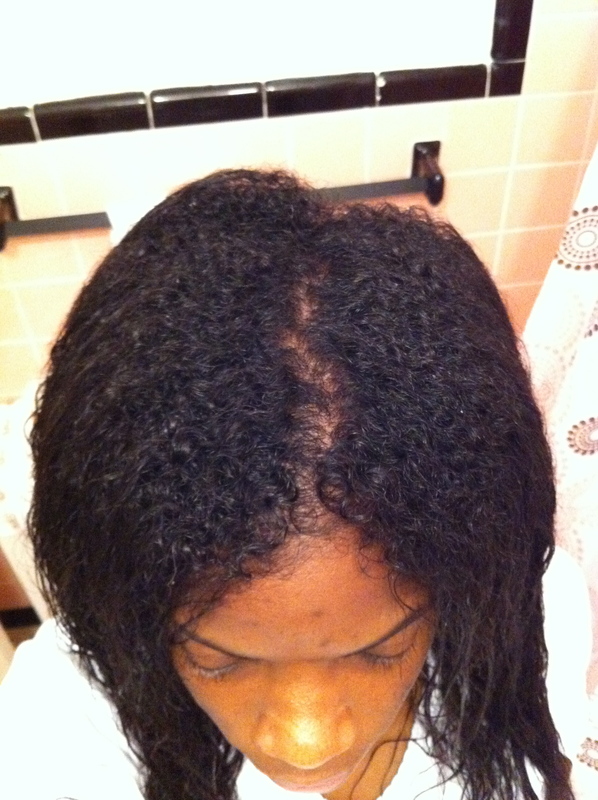 That’s what I find difficult, trying to do them on wet or dry curly hair. Maybe I need to lightly blow dry first?